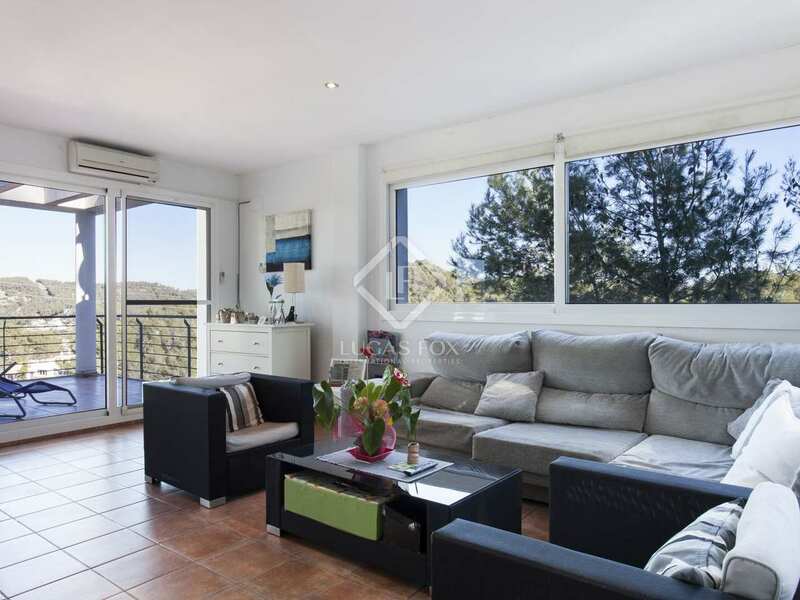 Large detached house with stunning views and a tourist licence for sale in the hills of Olivella, Sitges. 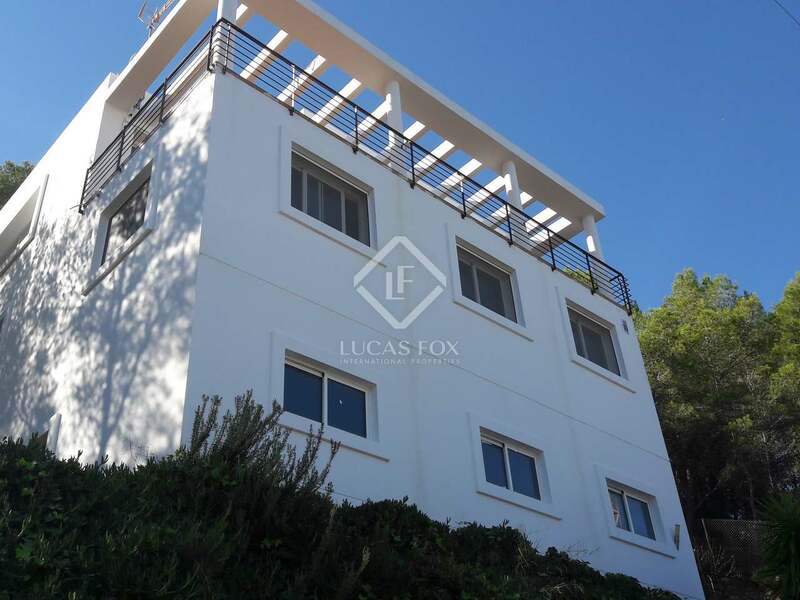 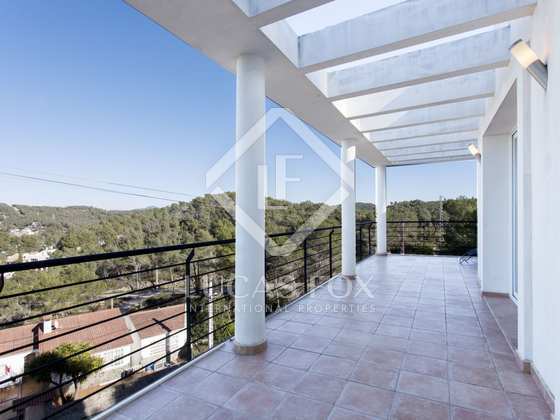 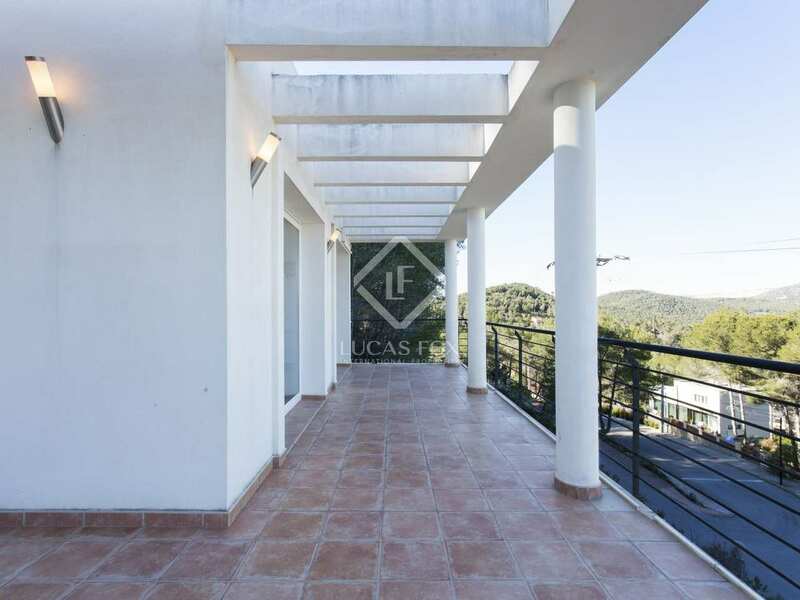 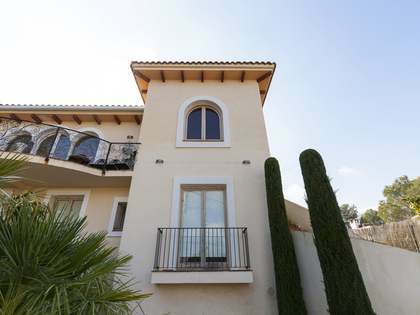 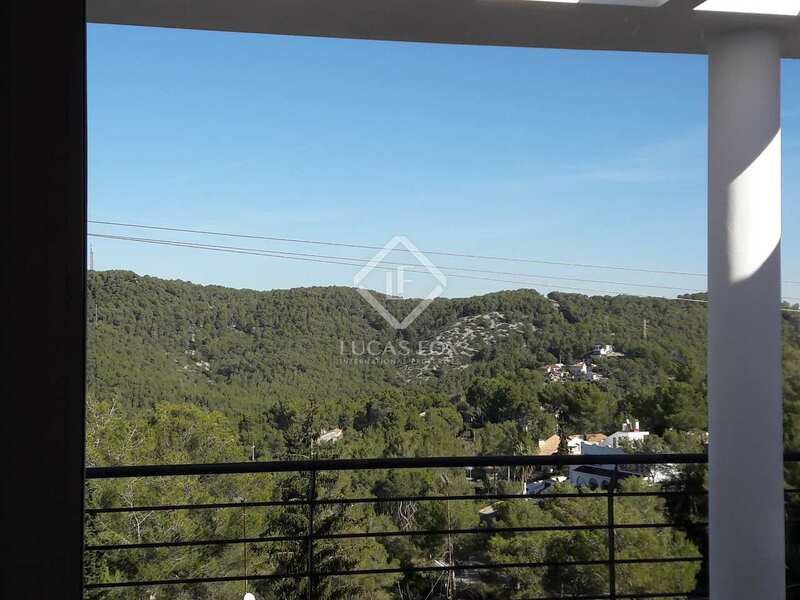 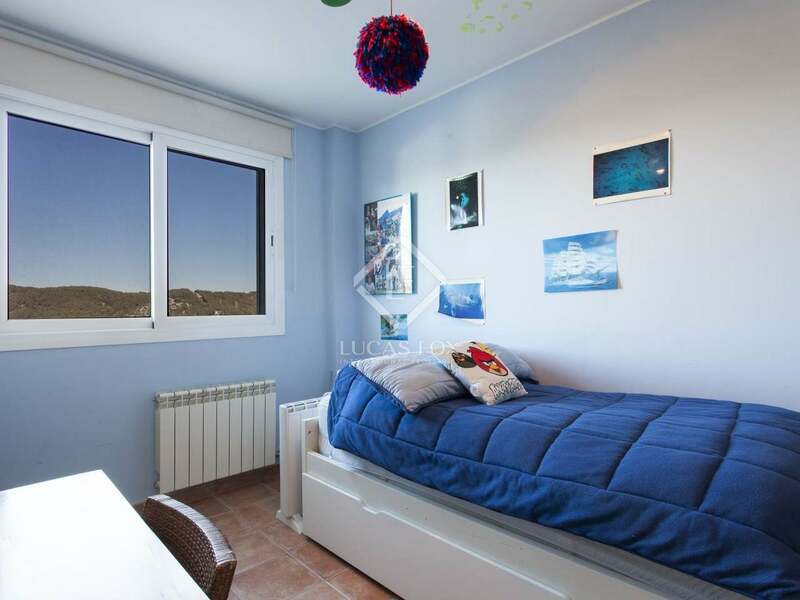 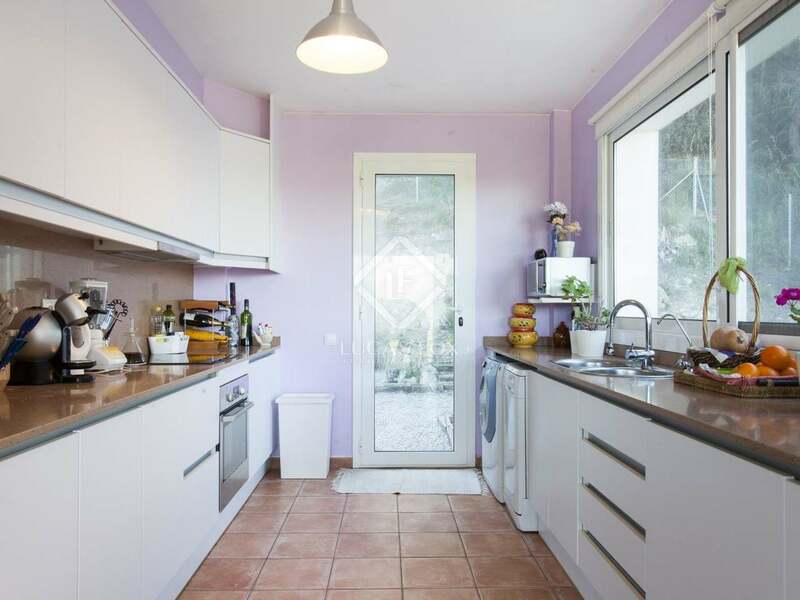 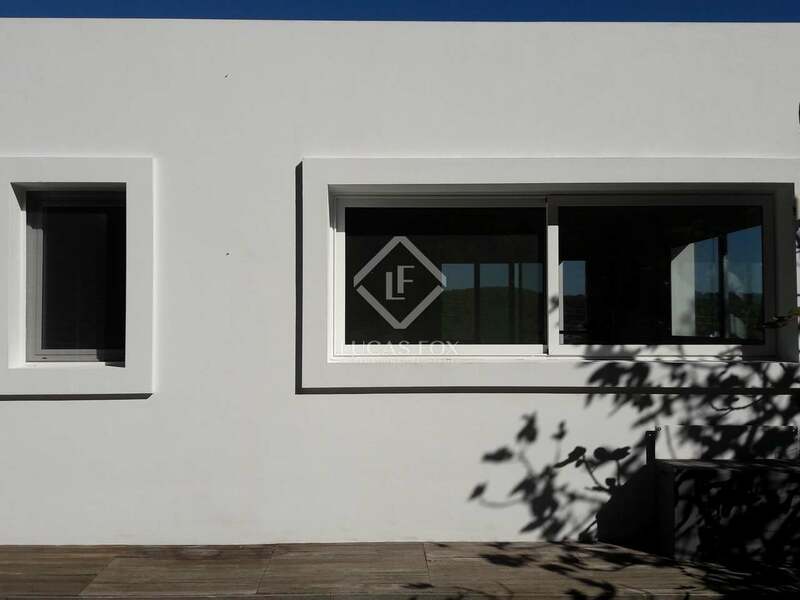 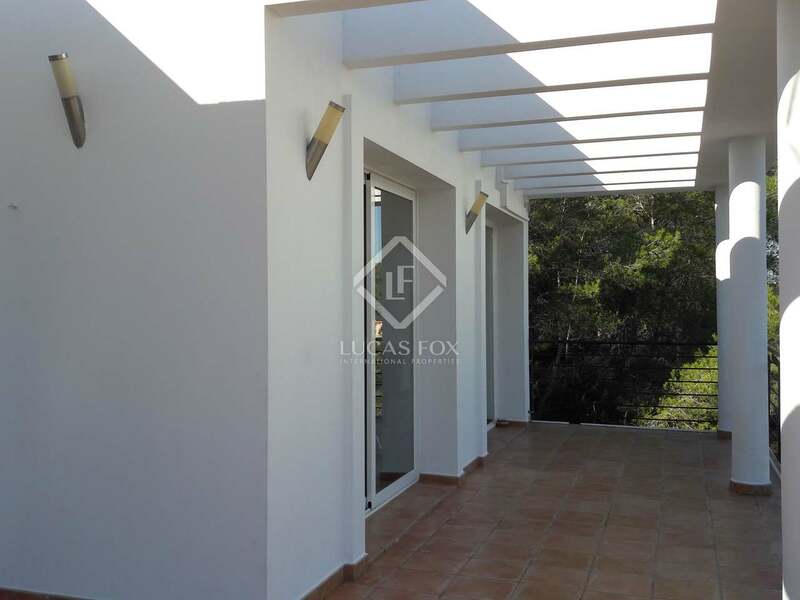 Modern, detached property with a tourist licence built in 2010 and located in Mas Mestre, the most popular residential area in the hills of Olivella as it is closest to Sant Pere de Ribes and just a 10-minute drive from Sitges. 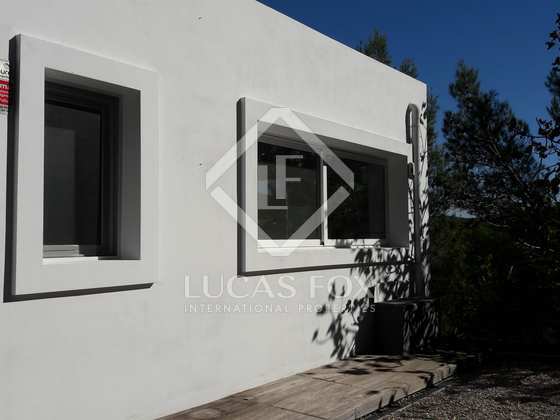 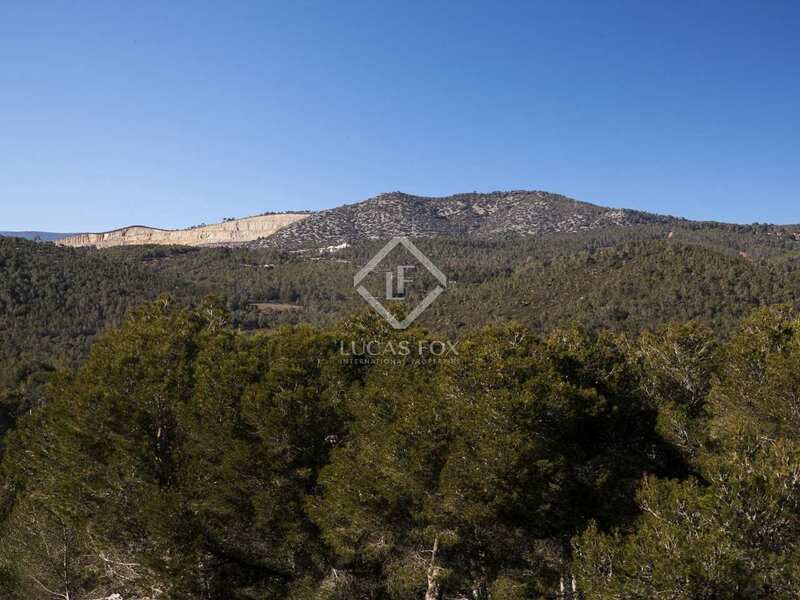 The property is presented in very good condition and enjoys great views of the surrounding countryside thanks to the elevated position of its 1,210 m² plot. 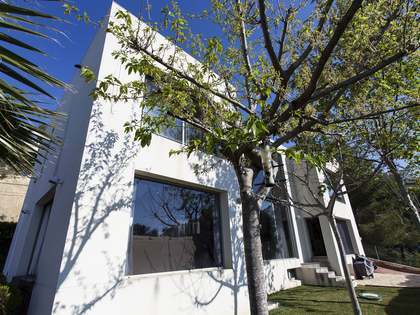 The house measures 237 m² and is approached via a large staircase from the driveway that takes you to the entrance hall. 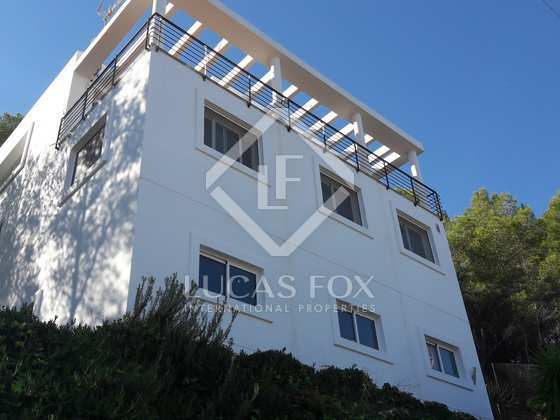 Once inside we find 1 bedroom on the right with potential for a walk-in wardrobe, 2 double bedrooms on the left, and the dual aspect master suite at the end with a walk-in wardrobe and large private bathroom with separate bath and shower. 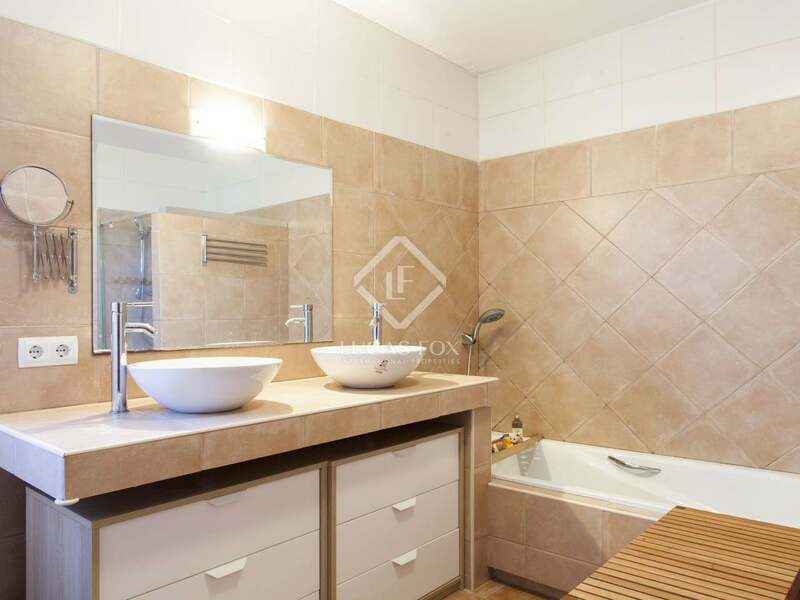 Another complete bathroom is on this floor servicing the other bedrooms. 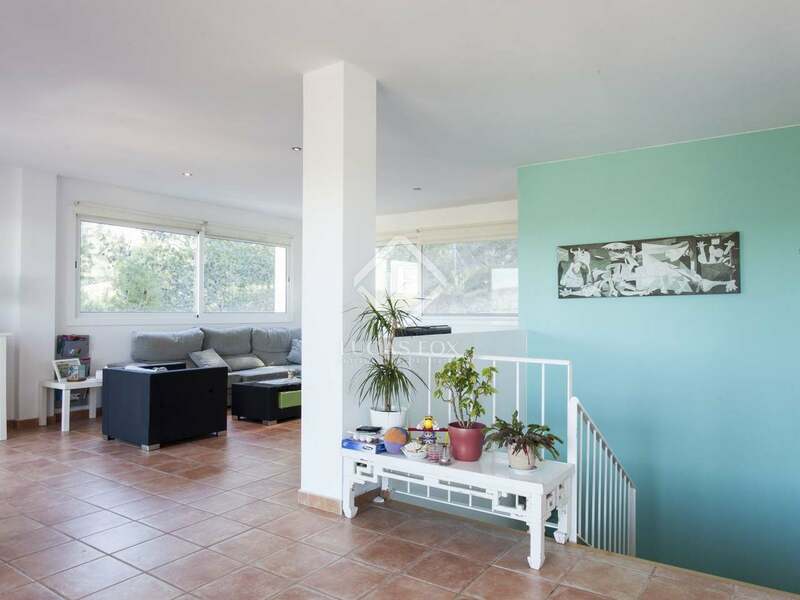 We can then take the stairs up to the open plan, modern kitchen (on the left, which opens onto the back garden). 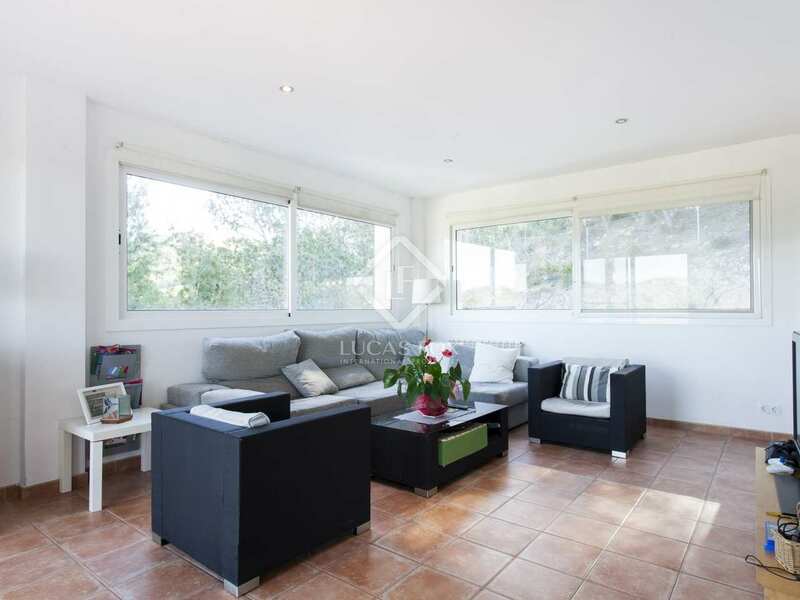 Opposite the kitchen with floor-to-ceiling glass doors is the dining area, and to the right is the lounge area, with a guest bathroom servicing this floor. The lounge opens out onto the terrace and can easily be extended outside during spring and summer to enjoy the magnificent views. 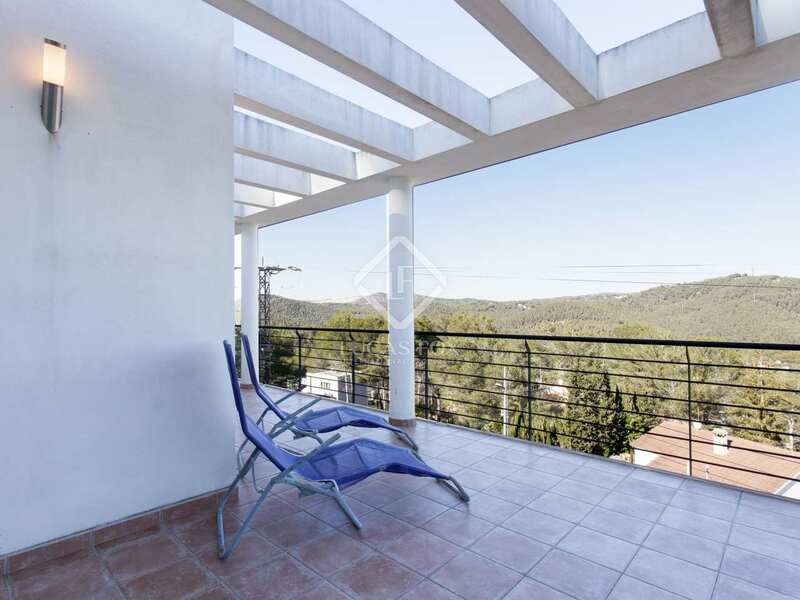 There is a private garden with a barbecue at the back and the plot extends all the way to the top of the ridge, with plenty of space for a swimming pool and further development. 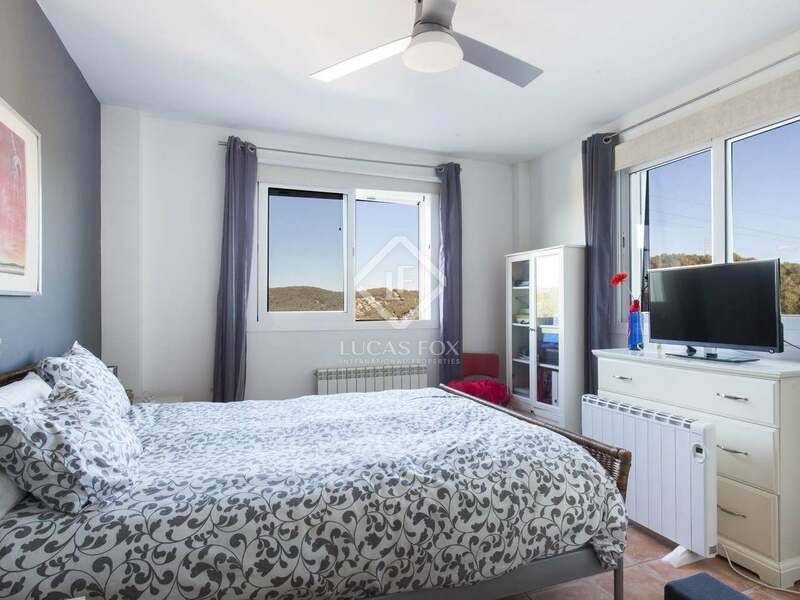 Additional features of this property include double glazing, mosquito screens on every window, central heating, air conditioning, ceiling fans downstairs in the bedrooms and an alarm system. 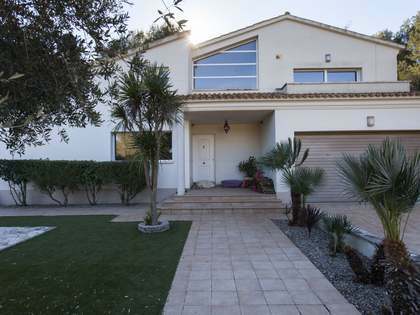 Very much a family home and an ideal holiday rental with a tourist licence. 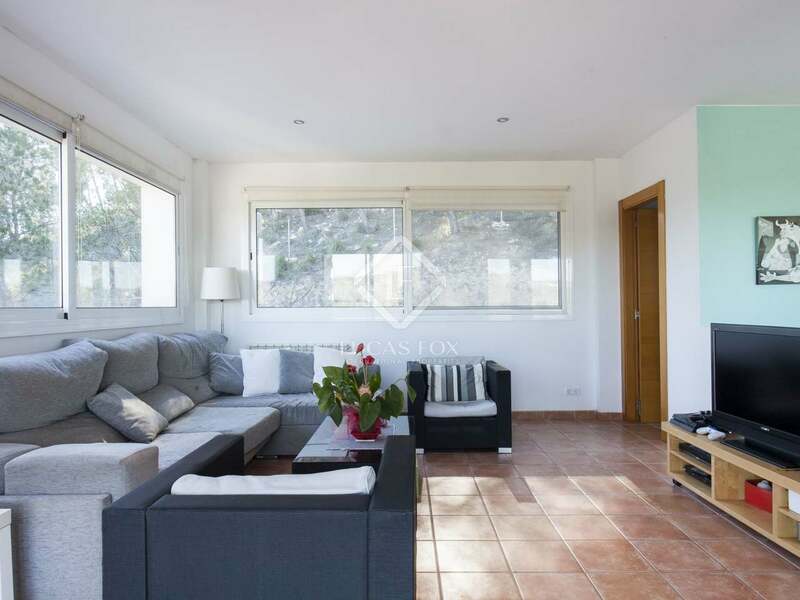 Located in Mas Mestre, in the hills of Olivella, just a 10-minute drive from Sitges.